List the day or days you will be attending, your name and contact information in the Notes section. You will be sent a confirmation email. Print out the confirmation and bring it to the seminar. Roy Goldberg Sensei is one of the highest ranked Daito Ryu Aiki Jujutsu practitioners outside of Japan and the senior student of Hayawo Kiyama Shihan. Goldberg Sensei has trained almost 4 decades with Kiyama Shihan and the leading Shihan from Japan including three Menkyo Kaiden. 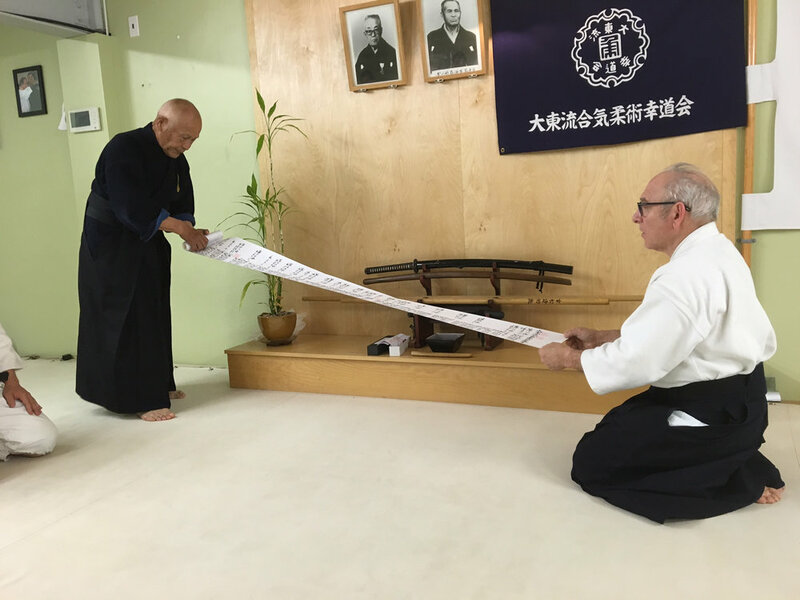 Goldberg Sensei is the first and only non-Japanese awarded the rank of 7th Dan and certified with the rare teaching license Kyoju Dairi by the Kodokai Menkyo Kaiden at the hombu dojo in Kitami, Japan. He is also the only non-Japanese to receive the 3rd Scroll in the Daito Ryu transmission, the Hi Ogi or "Inner Secrets." Goldberg Sensei has also studied Aikido at the United States Federation Headquarters under the direction of Yamada Shihan and his senior students. Goldberg Sensei has been fortunate to take classes with and touch leading Aikido instructors including Kisaburo Osawa, head instructor of the Aikikai in Japan, Gozo Shioda founder of Yoshinkan Aikido, Morihiro Saito of the Iwama Dojo, Kisshomaru Ueshiba Doshu as well as other direct students of O-Sensei.